We are now the exclusive stockist for Oxfordshire of the excellent Unico range of products from the Italian manufacturer Unison Research. Their entry level CD player, the Primo, is beautifully made and reassuringly solid at 10kg! It is available in an anodized silver finish for its thick aluminium front panel as standard, black to order, and is supplied with their uniquely wooden cased system remote. All Unison Research products are hand assembled in Italy and we think represent excellent build quality for their relatively modest prices. Internally it features a high quality TEAC laser mechanism feeding into a Wolfson/Burr Brown DAC stage which is then coupled to a pure class A tube output stage. Using a single ECC82 triode valve results in a sound that is detailed and powerful but never harsh or brash so listener fatigue is non existent leaving you to enjoy your favourite CDs for hours on end. It's almost addictive! It also features a 16bit USB DAC input on the rear so it can be connected to your computer to hugely improve audio quality up to CD resolution. This is quite simply the best sounding amplifier we have ever heard at this price! Representing years of designing hybrid amplifiers Unison Research have combined the best of both worlds into this excellent amplifier. Its preamp stage features dual ECC83 tubes operating in pure class A and has 4 line inputs, 1 balanced line input and a high quality on board MM/MC phono stage. The power amp stage is a dynamic class A mosfet design producing 100 watts rms into 8 ohms, doubling to 200 watts into 4 ohms due to its very large toroidal power supply and huge current ability.It can therefore effortlessly drive the most demanding speakers to higher levels than your neighbours will appreciate! It has a lovely sweet sounding mid range with a punchy powerful bass with a detailed but never harsh treble. It is a wide bandwidth amplifier with a frequency response of 10-100khz within 0.5db! 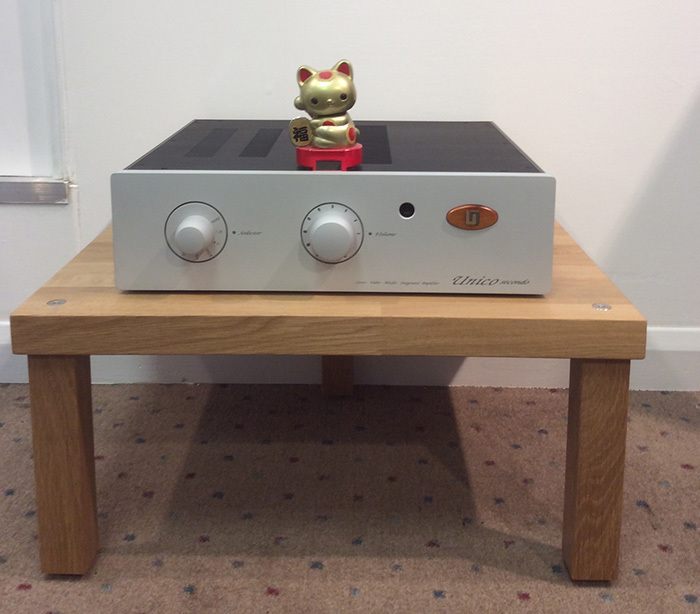 Paired with the Primo CD this combination will provide you with hours of effortlessly enjoyable music so we can wholeheartedly recommend for you to arrange a demonstration with us here in Oxford ASAP.